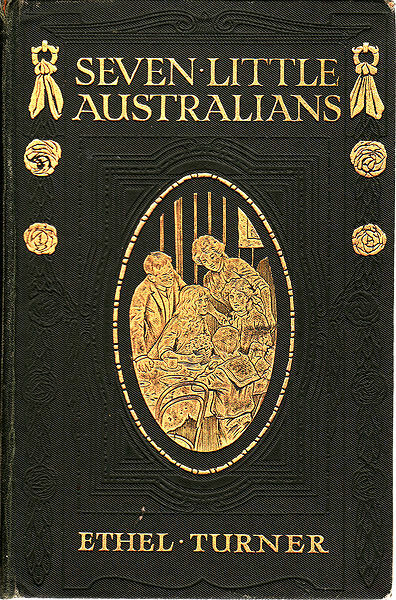 Seven Little Australians (1894) is set in Sydney in the 1880s, a story about the adventures of the mischievous Woolcot children. Turner's children's novel is featured in our collection of Books for Young Readers. CHAPTER V - "Next Monday Morning"
CHAPTER VII - "What Say You to Falling in Love?" CHAPTER XII - Swish, Swish! Return to the Ethel Turner library.